The World Health Organization estimates that about 450 million people worldwide suffer from depression. Depression is characterized by low mood, decreased interest in daily activities, fatigue, insomnia, sorrow, and in the worst cases thoughts of death. Depression can be caused by hormonal imbalance and is not rare in patients with hypothyroidism. This is because thyroid hormone acts in the brain, with an overall positive effect on mood. 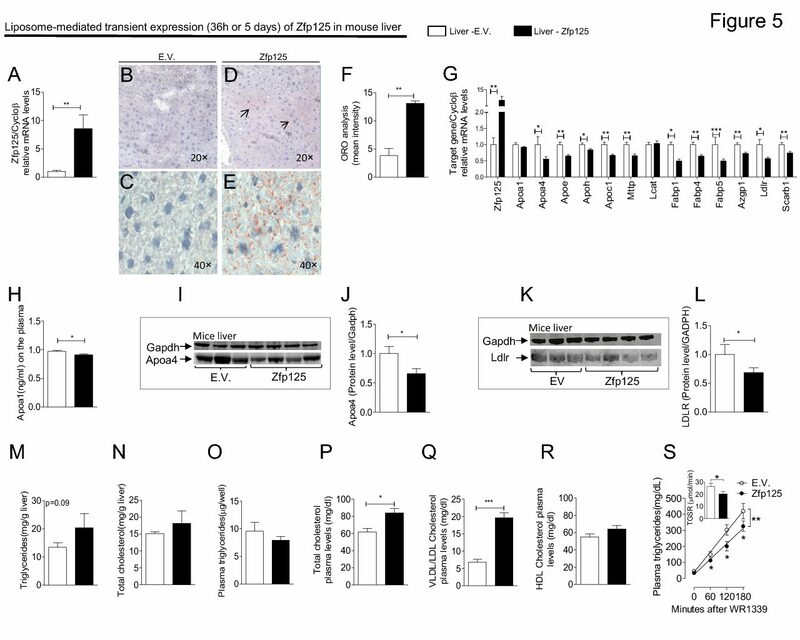 What is new and exciting is that thyroid-related depression was observed in mice with a type 2 deiodinase (D2) defect in the brain, despite normal thyroid hormone levels in the blood! What is also remarkable is that 4 weeks of treadmill exercise reversed depression in these animals. T3, the active form of thyroid hormone, normally reaches the brain directly from the circulation or is produced locally by D2 in astrocytes, specialized brain cells that wrap around neurons. Despite normal thyroid hormone levels in the blood, the brain of mice with a D2 defect exhibited signs of hypothyroidism and inflammation. In addition, the expression of genes known to be affected in classical models of depression was reduced in the animals with D2 defect, but normalized by daily exercise sessions. These new findings might be relevant to hypothyroid patients treated with levothyroxine (L-T4). Many complain of low mood and/or impaired cognition despite normal TSH levels in the blood. These new findings in mice suggest that abnormalities in the D2 pathway could explain some of these symptoms given that hypothyroid patients on levothyroxine depend predominantly on the D2 pathway for T3 production. Previous studies suggest that deiodination in the brain play a role in mood and behavioral disorders. 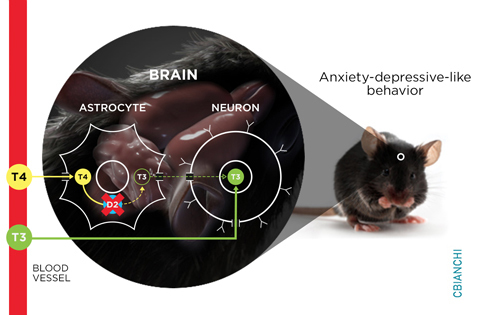 For example, use of antidepressants increases D2 activity in the rodent brain. However, clinical studies are limited to patients with disorders of the thyroid gland. Mutations that interfere with D2 activity have not been identified in humans. The only clinically relevant information about D2 is a polymorphism in its gene, which is a change of a single amino-acid in the D2 molecule (Thr92Ala-D2). This polymorphism, which is present in 12%–36% of the general population, does not affect the levels of thyroid hormone in the blood but has been associated with mental and psychological disorders, such as mental retardation, bipolar disorder, and low IQ. In addition, the brains of carriers of this D2 polymorphism exhibit changes in hundreds of other genes that are similar to patients with brain degenerative disease. Remarkably, the D2 polymorphism is also associated with a preference for levothyroxine (L-T4) plus liothyronine (L-T3) combination therapy vs levothyroxine monotherapy among carriers with hypothyroidism. These new studies highlight that potential defects in the D2 pathway might have clinical relevance; possibly constituting a risk factor for depression. The finding that physical exercise reverts this association is exciting, opening the fascinating possibility that physical exercise could be used to improve mood disorders in hypothyroid patients.